Seed Vitalization® is an ecological and fully automated seed priming process, developed and patented by Nelson Seed Development. 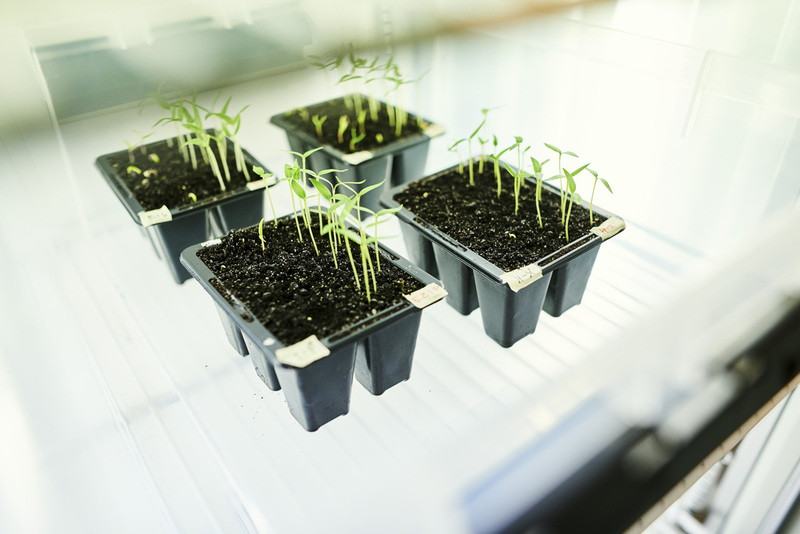 It can rightfully be expected to transform the commercial landscape of the seed industry within the near future. By finely tuned interaction of air and water, vitalization sets off the first stages of seed germination – without any addition of chemicals. 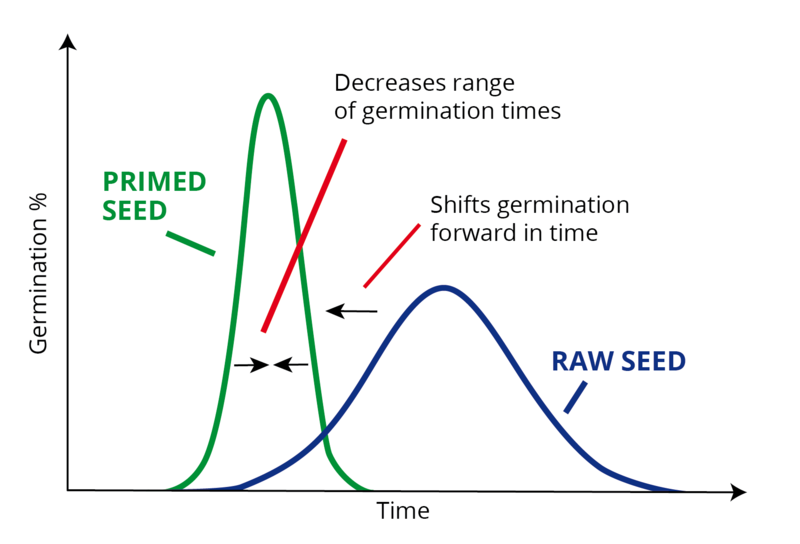 Thanks to a new key in the priming method combined with a high level of process, the germination is halted when the seed’s preparedness for germination reaches its highest point. 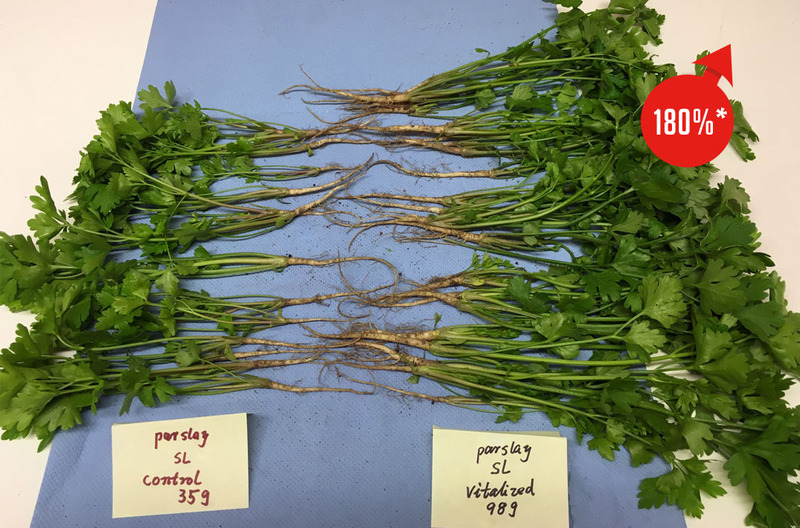 This is one of the key factors behind the first-rate storability and the rapid, uniform crop emergence in vitalized seeds. The process includes drying and is performed within the premises of the producer. This means a substantial cut of the total seed enhancement cost. The fact that the process is fully automated and includes drying means that the whole process can be carried out under the roof of the producer and without manual handling. This way, the logistics and labour costs can obviously be kept close to the zero level. For most species, the vitalization process can be carried out within 1 – 3 days. In addition to reduced costs, this means facilitated planning, capacity for on-demand production and enhanced flexibility. Thanks to the favourable cost level, producers will be able to boost the commercial value even in lower cost seeds by having them vitalized. First-rate storability is a major benefit offered in priming by vitalization. 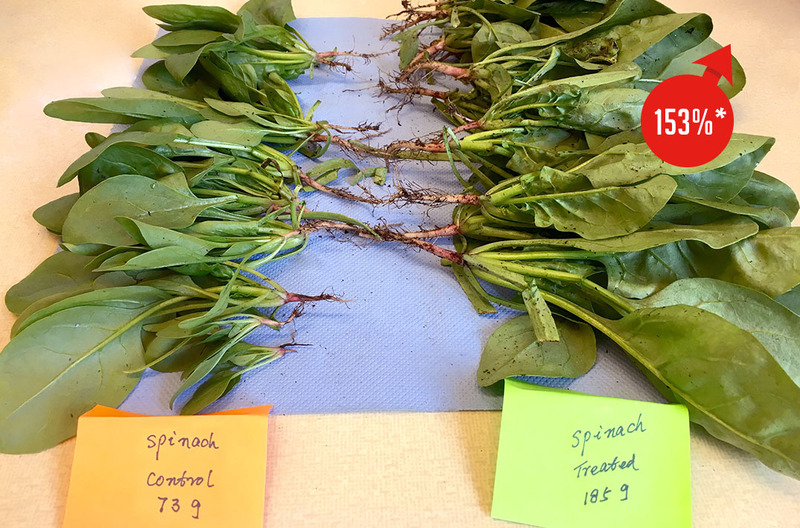 Good and even prolonged shelf-life in the seeds saves time, money and trouble at multiple levels – for producers, distributors and end-users. It means less waste and a prolonged sales season, while the producers can carry out the enhancement process in their own premises during the less hectic periods. It also offers the option to extend markets geographically. 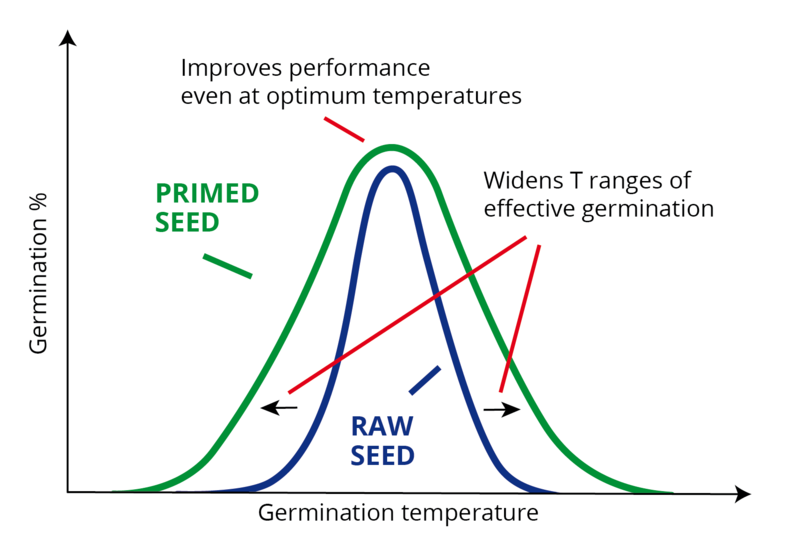 Thanks to the optimal timing of germination, vitalized seeds are uniquely well prepared to deliver fast field emergence of vigorous, robust seedlings with high resistance to draught, rain, mechanical stress and the impact of sub-optimal conditions. The vitalization process is generated by a finely tuned interaction of air and water. No chemicals are used. Since vitalization is fully ecological, vitalized seed has a very promising potential on the emerging market for ecological products. In seeds used for commercial foodstuff production, this is a substantial benefit. The environment for the employees by vitalizing will be nice and there will be no costly or unpleasant waste to take care of. The whole chain with the seeds all the way through growers and resellers to the final customer can be friendly smooth for our planet. 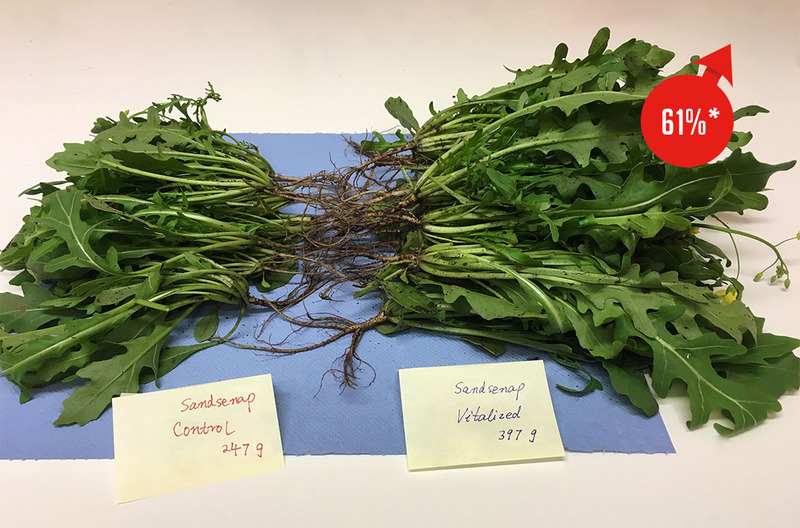 Evaluation of the vital performance parameters in vitalized seeds is indeed encouraging. We have collected some relevant performance data on a separate page on this site. Our R & D facilities are well equipped, both in terms of technology and human knowledge. 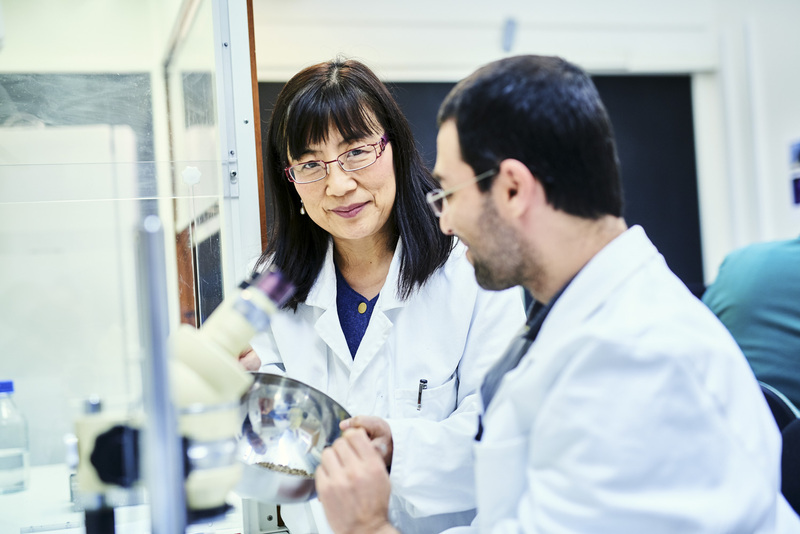 The director is Dr Tongyun Shen – an accomplished Chinese born scientist whose doctoral thesis was devoted to seed technology and who has spent more than 20 years as a successful researcher within this field. 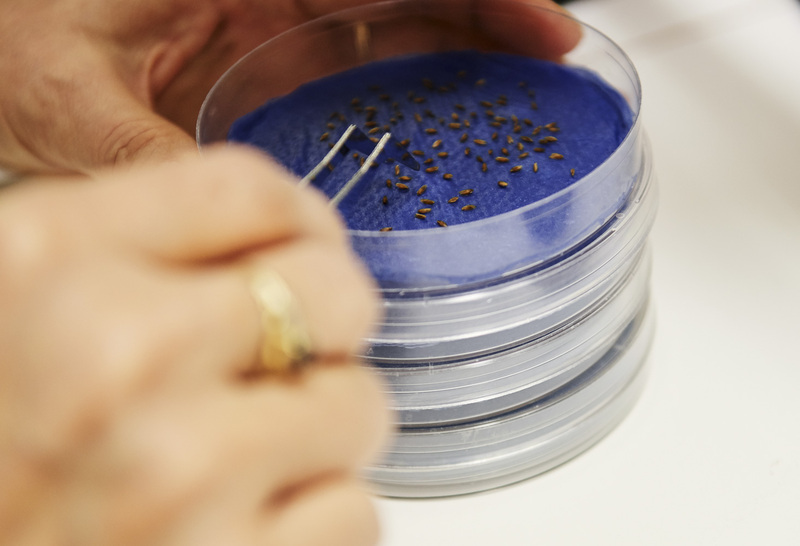 Dr Shen and her team of post-doc research assistants are instrumental in the development within seed technology. Seed Vitalization® provides one recent example. Can vitalization instead of the priming method presently used boost the potential in your own seeds? There is one sure way to find out: Let us vitalize them and evaluate them in comparison with a control batch untreated. We also provide you with storability tests.